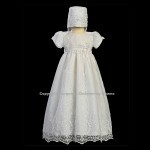 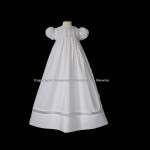 An exceptionally beautiful classic 27” christening gown with short sleeves. 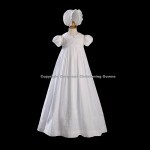 This gown is made of polycotton fabric. 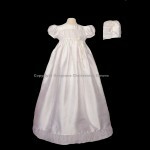 The bodice compliments a long skirt that that is finished with a scalloped hem and embroidered flowers. Includes a built in slip and matching bonnet. 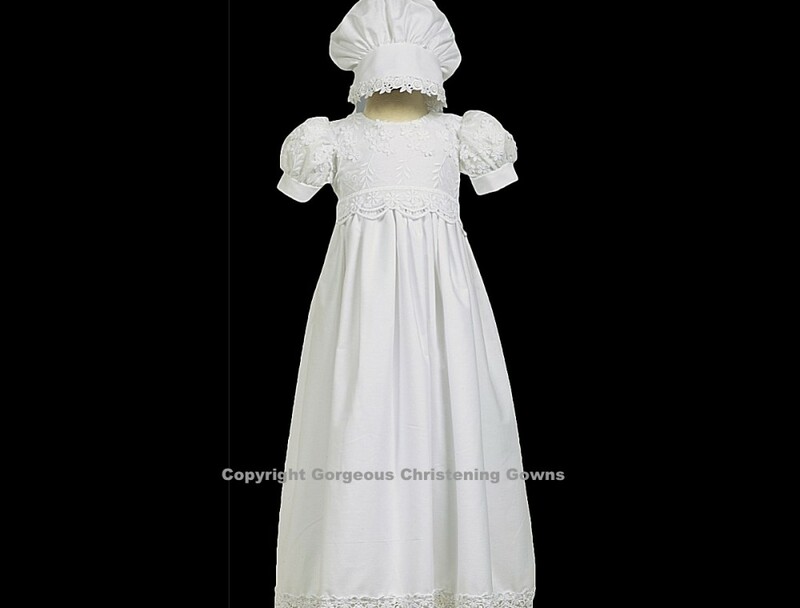 This christening gown is fabricated from polycotton.